No longer limited to college funding, 529 plans can now be applied for private elementary and secondary education. While this addition sounds like a good idea, it does introduce some new complexities. This new feature using 529 plans to fund secondary and elementary education requires a fresh lens in order to be fully appreciated. We’ll take a look at the new developments of this plan, the state’s position, and what this could mean for your family. Review: What is a 529 Plan? A 529 Plan is a tax-advantaged savings plan to be used by anyone, regardless of income, to fund qualified higher education expenses like tuition, books, room and board. Although contributions are not tax deductible for federal income tax, 30 states provide tax deductions. The main advantage to the 529 plan is growth of the funds within the plan is not taxable to either federal or state, nor are the gains within the distributions taxable as long as the funds are used for qualified educational expenses. While the precepts of 529 plans stay the same, the new tax reform allows families to use 529 plans to pay tuition for private secondary and elementary schools. A provision in the tax bill allows families to make tax-free withdrawals of up to $10,000 per year, per child, to provide for children attending private schools, kindergarten through 12th grades. This creates a new perspective when considering these vehicles. 529 plans are administered by individual states. Each state has different laws governing the use of the plans for their residents. Therefore, each state has to make the decision to accept the new federal provision. South Carolina currently offers a tax deduction for every dollar contributed to their 529 plan. These laws may change in the future for South Carolina, but right now South Carolina chose to adopt the new use of 529 plans. $10,000 withdrawals per year per child can be used for tuition expenses connected with enrollment in private or religious K-12 schools. The use of 529 plans for elementary and secondary schools is an incentive for private education funding, thus the state needs to consider if an expanded use of private education would change the quality of public education. For example, would a reduced head count in public schools subsequently lead to reduced federal or state funding? For those states providing tax incentives to use the plans, could the increased opportunity to provide funding for K-12 private or religious schools have an impact on the state’s tax base? While this addition may be seen as a benefit to providing private primary education, parents need to be careful when they consider this option. The ability to use 529 plans for education expenses prior to college changes the time horizon for the use of the funds. For a new born child, instead of a long-term horizon of 18 years investments may only be for 5 or 6 years. We believe the longer time frame provides for better overall growth and allows for market fluctuations. The shorter time frame may limit the growth without undue market risk. This is important to note as the growth of the investments is what provides the foundation for the tax benefits of the 529 plan. Originally 529 plans were intended to help provide funds for post-secondary education. 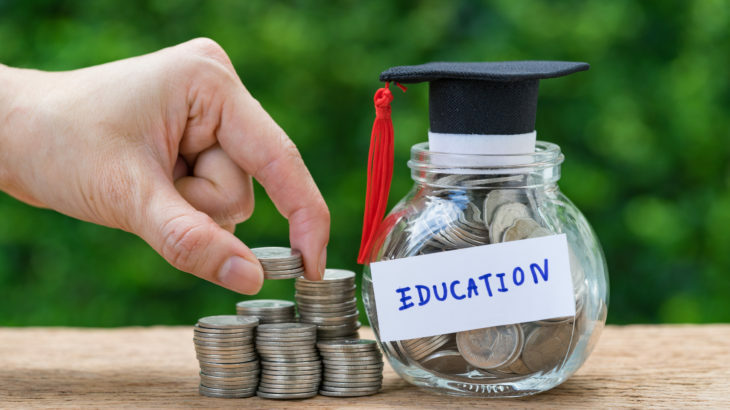 With this new addition to the plan parents need to be careful not to dip into the till too much for K-12 education as this will undermine their own attempts at college funding. Ultimately, in our opinion using these funds too early misses out on the benefits of the accumulation of the tax-free growth. How 529 plans will affect financial aid is another topic to discuss. Elementary and secondary schools will now have to consider the funds available in 529 plans as a potential funding source. Even if the intent was to keep these funds separate and only for college, the secondary or elementary schools may require the use of these funds before any financial aid is provided. The investments in 529 plans were not a big part of the review prior to the new tax reform. The investments may be withdrawn. Taxes will be due on the gains and a 10% penalty on the gains is also incurred. Pass the funds to another child or relative. This can be done with no tax consequence. One potential benefit for the use of 529 plans for secondary schools is it may provide more opportunities for enhanced education funding, thus using up over funded plans. Parents or grandparents contributing for young children still benefit the most from 529 plans. They have the time to allow the investments to work for them, and to strategize how to best use the plan. The new tax laws do provide more opportunities. However, these new opportunities need to be considered wisely. We have the benefit of the old tried and true frames for the 529 plans, and now we have added a new lens – what can we see? The opinions expressed herein are those of Morris Financial Concepts, Inc. and are subject to change without notice.